Do I need to spray for mosquitoes at home? Not all mosquitoes transmit diseases, but they can all be a nuisance. There are many different species of mosquitoes with different preferences for climate and breeding territory. Typically, mosquitoes lay their eggs in standing water. Mosquito larvae hatch from the eggs and remain in the water, feeding on tiny organisms. Once they mature, adult mosquitoes leave the water to breed. The National Pesticide Information Center (NPIC) received hundreds of calls last year from all over the country about bed bugs. If you have questions about this, or any pesticide-related topic, please call NPIC at 1-800-858-7378 (8:00am - 12:00pm PST), or email at npic@ace.orst.edu. Confirm their identity. Are you sure you're dealing with mosquitoes? Stay indoors in the early mornings and evenings when mosquitoes are most active. Use mosquito netting to cover beds, baby carriers, porches, tent openings, and other areas. 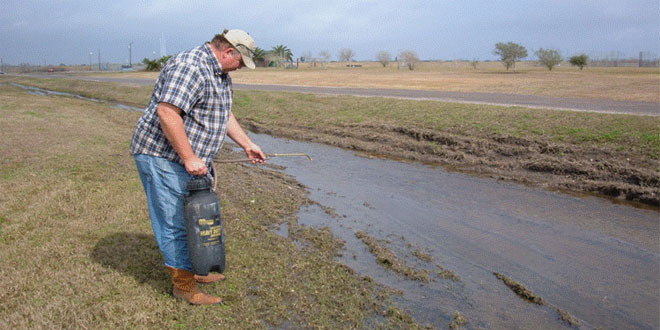 Remove standing water where mosquitoes may breed. Make sure gutters and ditches are draining properly. Empty trash cans, tarps, pop bottles, etc. Dispose of extra tires properly, or puncture them to prevent standing water. Replace water in bird baths every few days. Check fountains for mosquito larvae. Report abandoned pools to your health department. Stock ponds with mosquito eating fish. Mow your lawn often and keep plants low in your yard. Insect repellents have been recommended, if needed. For children, consider these precautions. Find out what your community is doing to manage mosquitoes. 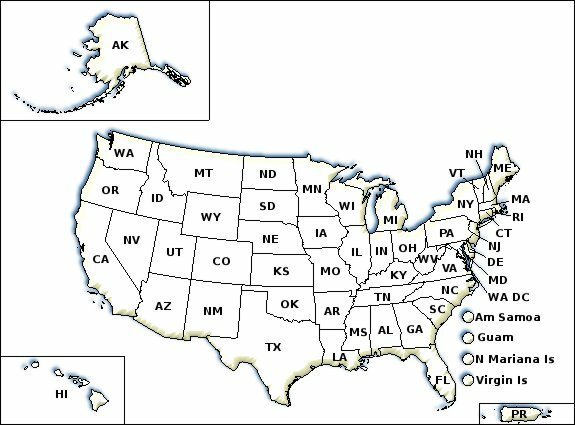 After selecting your state, click on "Mosquito/Vector Control." Mosquitoes undergo four life stages: egg, larva, pupa, and adult. Disrupting a mosquitoes' life cycle and habitat may reduce the number of mosquitoes around you and your environment. There are steps you can take to reduce mosquito populations before choosing to use a pesticide product. Get others involved to be even more effective! Most mosquitoes lay their eggs in water, and they don’t need much. A Frisbee or a plastic bottle cap can hold enough water to support mosquito breeding. Puncture unusable tires in the yard to prevent pools of water from forming inside them. Wipe out your bird-bath every few days. The eggs can get stuck to the bottom and survive dry periods. Maintain your swimming pool to prevent mosquito breeding, and report abandoned pools to your local health department. Consider adding mosquito fish to your water garden or small pond if it's not connected to natural waters. If you have rainwater barrel, a rainwater harvesting system, consider methods to kill mosquito larvae, such as implementing a management program. Keep in mind that there are biological and chemical options to control mosquito larvae. Keep grass and shrubs trimmed short; this will reduce places for flying (adult) mosquitoes to rest. Keep windows and door screens in good working order. Use mosquito netting over infant carriers when outdoors, especially at dusk. Wear long-sleeved shirts and long pants while outdoors, and consider staying indoors early in the morning and evening when mosquitoes are most active. Consider using pesticide-treated clothing. Make sure to select products with specific instructions for treating clothing. Consider using an insect repellent. NPIC's Insect Repellent Locator can be useful when deciding on insect repellents. Be aware of public health mosquito control programs, they may use insecticides to kill adult mosquitoes. Your local government may lead these efforts. If you choose to use an insecticide, be sure to read and follow all label directions. Some products are designed to be applied directly to water to control mosquito larvae, while others are used more broadly to control adult mosquitoes. There are a variety of products available on the market for the public and for professionals when it comes to mosquito control. Larvicides are chemicals designed to be applied directly to water to control mosquito larvae. Adulticides are used in fogging and spraying to control adult mosquitoes. Synergists are not toxic to the mosquitoes themselves, but they make adulticides more effective. Some communities provide mosquito control as a service to the public and may apply pesticides from trucks or planes. To find out whether or not your community sprays for mosquitoes, try contacting your local health department or local mosquito control district. There are several non-pesticide actions you can take. If you decide to use a pesticide for mosquito control, always remember to read and follow the label instructions carefully. The following list of ingredients is not a recommendation and provides examples only. 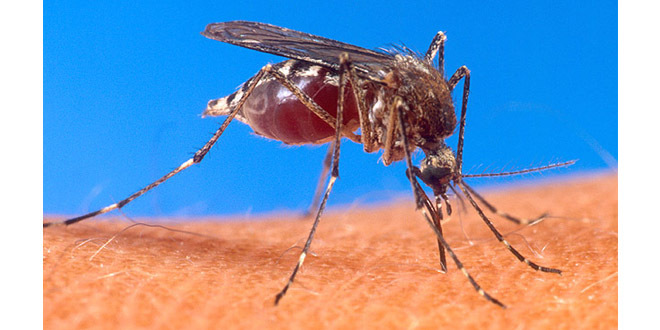 Some mosquitoes are vectors for diseases. This means they can transmit diseases from one human or animal to another. Typically, the diseases are caused by viruses or tiny parasites. For example, a mosquito that bites an infected human or animal can pick up a virus along with the blood meal. The mosquito and virus do not harm one another but the virus reproduces inside the mosquito. Later, the mosquito can pass the viruses to other humans when biting them. If you're planning a trip and you're wondering how to protect yourself from vector-borne illness, try visiting the Centers for Disease Control and Prevention's Travelers' Health page. Automatic misting systems include plumbing around the perimeter of a home or yard, to deliver an insecticide mist at scheduled time intervals. There is no data showing their effectiveness in preventing disease transmission. The EPA does not expect risks of concern for people if label directions are followed. The American Mosquito Control Association has several concerns with automatic misting systems, including potential pesticide resistance, non-target impacts to fish and pollinators, and increased risk of human pesticide exposures. If you choose to install a system, keep these tips in mind. Avoid direct contact with sprays by keeping people and animals away from the spray zone. Keep outdoor pets away from the treated area. Avoid touching plants or objects in the treated area. Avoid releasing the mist too frequently. Overuse could cause unacceptable risks. Be vigilant about the maintenance of your misting system. Keep in mind that insecticides are toxic to insects, including bees and other pollinators. Note that many insecticides are toxic to fish and aquatic life, including pyrethrins and pyrethoids.